How to Choose a Travel Insurance for the Embassy and how to minimize the Risk of Visa Rejection ? Proof of sufficient medical insurance is one of the most important conditions for obtaining a visitor's visa for foreign guests and visitors, who need a Schengen Visa in order to enter Germany or the EU. If a foreign guest does not have proof of sufficient travel insurance, a schengen visa cannot be granted and as a result entry into Germany or the European Union (EU) can be denied. You can find cheap, but good health insurance for foreign guests and visitors already from 30 Euro/ 30 days with a maximum insurance period of 2 years. This insurance meets the requirements for a Schengen-Visa and therefore can be used for Visa Application or Extension at the embassy and in the aliens department (Ausländerbehörde). The required minimum coverage of 30,000 Euro is ensured and is stated on the insurance policy. After filling out an online application you will receive your documents promptly via email and you can use these immediately at the embassy or your local immigration office. Some Medical Travel Insurances are not always accepted by the German Embassy! Please pay close attention that your Medical Travel Insurance for the foreigners must fully comply with the requirements for a Schengen Visa by the European Union as of 13.07.2009. The travel insurance for Germany must be valid in all Schengen countries, not only Germany and provide medical coverage of at least 30,000 Euros. These are important criteria for both, the German Embassy abroad and the local immigration office (Ausländerbehörde) in Germany. However, foreign tourists often purchase cheap travel insurance from local insurance companies abroad, which do not offer sufficient insurance coverage. As a result, visitors could possibly risk a visa refusal. Hanse-Merkur Versicherungsgruppe, one of the biggest health insurance group of companies in Germany, offers very reasonable travel insurance from only 30 Euro/ 30 days that also complies with the current valid visa requirements for a Schengen Visa . The minimum coverage of 30,000 Euro is provided and is listed on the insurance certificate. In our experience, this travel health insurance is accepted as proof of insurance by the local immigration authorities (Ausländerbehörde) in Germany and the German embassies abroad. Plus you will receive your insurance documents quickly and easily via email. Simply print your insurance certificate and use this at the embassy or immigration office to apply for or extend your visa. 3. Without travel insurance you must pay for all medical bills yourself. And in Germany this could easily mean thousands of Euros! Illnesses cannot be avoided and an accident could happen before you know it. Associated costs are extremely high, especially in Germany. A dental treatment or in-patient treatment in a german hospital for example, could easily cost 1,000 Euros or more for a foreign guest. But taking such a high risk is unnecessary, because travel insurance for foreign visitors is actually quite cheap: starting from only € 30.00 Euro /30 days , foreign visitors and tourists in Germany can insure themselves and therefore protect themselves from potential financial ruin. If a foreign visitor does not have the financial means abroad and cannot afford health insurance, this travel insurance can also be taken out by the inviting host in Germany. If the foreign visitor cannot finance travel by his own means, then a host living in Germany could alternatively obligate himself to cover all costs associated with the guest's stay in Germany, including costs for potential medical treatments. That is the so called Formal Obligation (German: Verpflichtungserklärung) at the immigration office. When inviting foreigners to Germany and signing a Formal Obligation you are committing to cover the living expenses for the visitor as well as potentially incurred public expenses. By doing this, you are taking a high financial risk! How to limit the risk for the Host in Germany? We recommend that, as a host, you should definitely take out an Travel Visitor Health Insurance (from 30 Euro/ 30 days) in combination with an accident- and liability insurance (from 2 Euro/ month addl.). For a relatively small amount of money, this is the only way to get the best protection from financial risks incurred through the Formal Obligation for foreigners. If you like, simply choose the option "YES" under "Do you want to take out liability or accident and liability insurance?" when filling out the Online Application. This package is highly recommended because for a small additional amount you also get liability insurance and accident insurance and will be well covered for most financial risks. 5. Can I use this travel insurance as a proof of insurance at the german embassy or consulate? Yes - this travel insurance complies with the regulations of the European Union from 13.07.2009 and fulfills the requirements of the german embassy for the Schengen Visa application. The required minimum coverage of 30,000 Euro is guaranteed and will be stated on your insurance certificate. According to our experience, this foreigner's health insurance is recognized by the German Embassy abroad as well as the local immigration office (Ausländerbehörde) in Germany. After filling out the Online Application you will promptly receive your documents via email and you can use them immediately for visa application or extension. What are the benefits of this travel health insurance ? With this health insurance, foreign guests in Germany, the EU or the Schengen States can protect themselves well from the high costs associated with a hospital or doctor's visit. Foreign guests, who need a Schengen Visa for Germany, can use the insurance certificate as proof of insurance for a visa application or extension at the embassy. Since this Incoming Insurance meets the requirements for a Schengen Visa, it is in our experience recognized as proof of insurance by the local immigration office (Ausländerbehörde) in Germany and by the german embassy abroad. Simply print your confirmation and bring it with you. 1. I desperately need proof of health insurance for submission to the embassy. Without valid proof I cannot apply for a visa - when and how do I get this proof? You will conveniently receive your insurance certificate via e-mail shortly after filling out the online application. This health insurance meets the European Union's requirements for a Schengen Visa from 13.07.2009, and can therefore be used at the Embassy abroad or at the local immigration office (Ausländerbehörde) in Germany. 2. What if my visa application for Germany gets rejected? Will I get a refund for paid premiums? Yes - Please submit a request for a refund of your insurance premiums and include the letter of refusal for the visa that was denied. You will receive a refund of your premium, less a fee of 5 Euro, usually within 4 - 6 weeks. 3. What exactly do I enter for "term of insurance" on the online application form, if I do not know in advance for how long I want to stay in Germany? Please just enter the maximum duration of your intended stay. Should your stay be longer or shorter than scheduled, please be sure to give notice of this change in writing. You can always cancel or extend the Travel Insurance according to tariff regulations. 4. 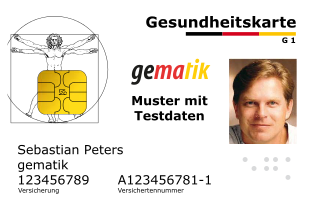 Can I use this Travel medical Insurance for foreigners in Germany as proof at the german embassy or immigration office? Yes -this travel insurance meets the European Union's requirements for a Schengen Visa from 13.07.2009, and can be used at the embassy and immigration office. The required minimum coverage of 30,000 Euro is guaranteed and will be stated on your insurance certificate. According to our experience, this travel insurance is accepted as proof of insurance by the German Embassy abroad as well as by the local immigration office (Ausländerbehörde) in Germany. You will receive your insurance documents promptly and conveniently via e-mail after filling out the Online Application and you can use these immediately.